CHICAGO (CNS) — The city of Chicago’s Austin neighborhood leads a noteworthy list, but one its residents would rather not be on. “As of April 25, the Austin community — our community, our immediate community — led Chicago in 23 homicides and 101 people being shot. This is insane. 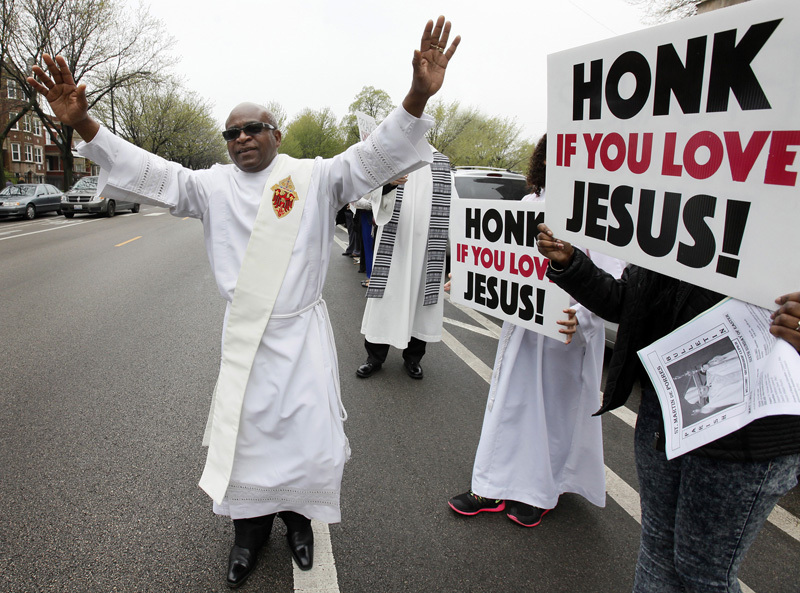 This is wrong,” Father Tom Walsh, pastor of St. Martin de Porres Parish told those gathered for Mass May 1 celebrated by Archbishop Blase J. Cupich. As of May 2, 1,135 people had been shot in Chicago during 2016, according to the Chicago Tribune. “The truth of the matter is, a person is shot in Chicago every two and a half hours. Unfortunately, if the odds work, it could have happened while we were here this morning,” the priest said. The parish is located about nine miles west of downtown Chicago. Four of the top five communities that have seen the most violence this year are within walking distance of the West Side church, Father Walsh said. “That’s why we as a church — this is the tallest building in this entire community, if not one of the tallest church buildings in the city of Chicago — need to continue to be a beacon of hope and of light to our world,” Father Walsh told the congregation at the end of Mass. 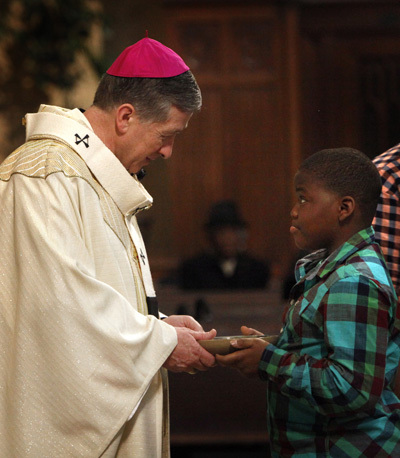 It was not the first time the church community took to the streets to witness for peace but it was the first time Archbishop Cupich visited the church, celebrated Mass with them and offered support for their efforts. The parish runs several programs to help the neighborhood including an after-school peace program that gives youth a place to go. 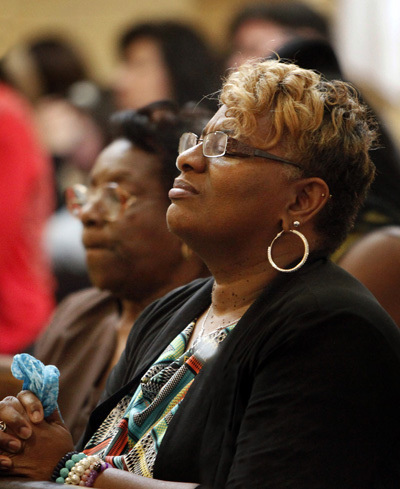 During the summer, parishioners go into the streets to pray for their community. The archbishop said he recently sent a letter to pastors of city parishes encouraging them to participate in the city’s One Summer Chicago youth employment program. Through the program parishes and churches could offer summer employment to teens and have it subsidized by the city. “Our children are dying and people are dying for no reason, so we want to let people know that we care about what’s going on in our community,” she said. The community is willing to take a stand because members are tired of seeing people dying for “no reason,” she said. Tiffany Rodriguez, a parishioner, mother and Chicago police officer, has the same feeling.